If you’re thinking about storing away some of your e-liquids, follow our advice to make sure they last as long as possible, without losing any of the fantastic flavour that you love. Propylene Glycol (PG) or Vegetable Glycerine (VG)? Do you tend to buy e-liquids consisting mainly of PG or VG? Your choice can affect how long you can store your e-liquids for, as PG based liquids will last a lot longer than VG liquids. PG acts as a natural antibacterial substance, meaning that any bacteria that comes into contact with it, should be destroyed. On the other hand, VG is more likely to be affected by bacteria, and if you don’t store it properly, you will notice a change in the flavour after some time. What can affect your e-liquids if they aren’t stored properly? Heat, light and air can not only change the way your e-liquids look, but they can also alter the taste, too. When the liquid warms up, its molecules are given more energy to react with other ingredients, and when this happens, the flavour is affected. If your e-liquids are exposed to light and/or air, the nicotine within them can become oxidised. By this, we mean that some of the hydrogen elements are replaced by oxygen elements, which can not only change the colour and taste of your e-liquids, but sometimes even the strength of the nicotine, as well. Flavoured e-liquids are affected more than standard e-liquids, particularly flavours with a dark colouring, such as coffee or chocolate. The colour is usually affected rather than the flavour itself, but this isn’t something that you should worry too much about. Should you store your e-liquids in plastic or glass containers? Choosing whether to use plastic or glass containers to store your e-liquids should depend on how long you’re planning on storing them for. If you’re thinking about keeping them stored for 1 or 2 months at most, then plastic bottles will be fine. 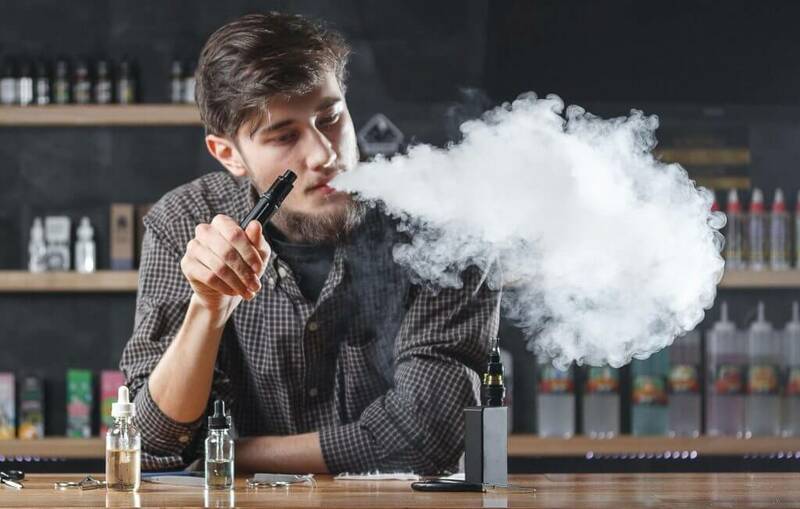 However keeping your e-liquids in plastic bottles for any time longer than that can change their flavour, when the plastic begins to react with them (and that’s probably not very healthy, either). For more long-term storage, keep your e-liquids in a glass bottle or container, preferably darker glass such as green or brown. Glass containers will remove the likelihood or air getting to your e-liquids, and the glass won’t react with it either, unlike plastic. Can you refrigerate or freeze your e-liquids? While a cool, dark, dry cupboard is perfect for short-term storage, you may want to consider putting your e-liquids in the fridge or freezer, if you’re planning on keeping them for longer. The cooler temperatures make the molecules in the liquid less energetic and so they won’t react with other ingredients that make up your e-liquid. Your e-liquid’s use-by date will be maximised in the fridge or freezer and can be kept for as long as 2 years! Always make sure that the lid or cap of the storage container is firmly screwed on before storing away, to make sure as little air as possible can come into contact with your e-liquids. Caps and lids are not completely pet or childproof, so if you have any children or pets in your household, be sure to store your e-liquids in a hard-to-reach place, or in a secured container. E-liquids can often thicken when cooled, so if you choose to refrigerate or freeze your e-liquids, make sure you give them time to reach room temperature again, before adding them to your e-cigarette.